Hanging tough on the road. PPP: #Badgers 1.00, Michigan 1.00. UW did a good job on Walton, whose only basket in six attempts was a contested 3-pointer. It is halftime and the #Badgers are up 31-30. Ethan Happ has 18 points, 3 boards, 4 assists and probably stole your girl. It's a 1️⃣-point game here at the half. ???????? @moritz_weasley is leading the way for U-M with 1️⃣2️⃣ points. #Badgers Happ played 15 minutes: Has 18 points (8-9), four assists, three rebounds and a steal. Not a bad game. Khalil Iverson has been invaluable off the bench, scoring 8 points (inside of 10 inches) and grabbing 2 boards while playing good defense. Moe Wagner leading the way for Michigan with 12 points while Derrick Walton has struggled shooting the ball (1-for-6). D'Mitrik Trice, in his first career start, has shot poorly BUT has 3 boards, 4 assists and only 1 turnover. Feeding Happ well too. Happ has two six-point runs for #Badgers . First in 53 seconds, second in 67 seconds. #Badgers Happ limited to 6-17 shooting and 17 points in last two games (hard double teams). Has 18 points tonight. And no, Michigan is not using the hard double teams that Nebraska and Northwestern used. 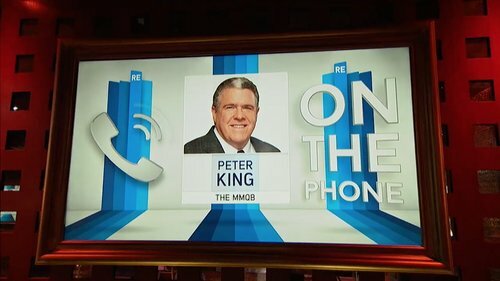 My uncle, a Michigan grad, says the folks at mgoblog are panicking. They are down one point. It must be exhausting cheering for UM. Trice opens the second half with a steal and a layup. When I was a freshman I couldn't find my way to class without a map. 5-0 run for the #Badgers out of halftime! Wisconsin leads 36-30 with 18:15 left in the second half. Showalter, who had been absent on offense for the first half, drills a three! Happ picks up his first foul at 17:01. Him staying on the floor has been critical. H2: We're back! @theprophet_5 puts up Michigan's first points of the half. Wisconsin leads 38-34 with 17:02 to play. Nigel Hayes spins and scores off the glass inside to silence the crowd! H2: BREAKAWAY BUCKETS! @moritz_weasley with the layup, @DerrickWalton10 with the assist! U-M trails 40-36 with 15 minutes to play. 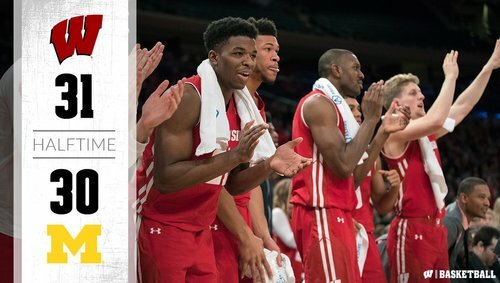 Wisconsin leads 40-36 with 15:22 remaining. Happ with 20. Next highest starter in scoring is Trice with 5. Getting loud in here. #Badgers clinging to 40-38 lead with 14:29 left. 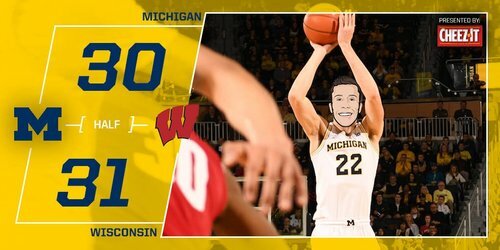 Happ with 20 points and 5 assists. #Badgers had a 6-point lead and a chance to extend but failed. TO, missed 3, TO and it is 40-38 UW with 14:29 left. Things heating up at the Crisler Center as the crowd begins to get into it. Happ with 20p (9-10 FG), 5a, 3r, 1s. 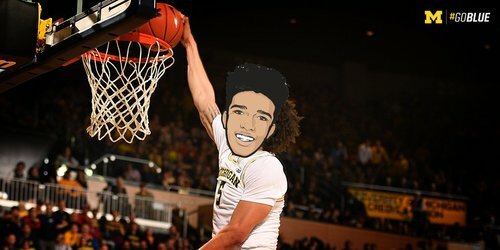 H2: @Lanky_Smoove dunks one before the media timeout to bring Michigan within two, 40-38, with 14:29 to play. Let's hear you get LOUD! 〽️???? H2: @zirvin21 FOR THREE! U-M is within one, 42-41, with 12:34 to play! ???? How are banks in Michigan not closed yet? Happ has picked up three quick fouls. He'll go to the bench with 12:12 left. Uh-oh. #Badgers Happ gets foul No. 2 with 12:34 left and No. 3 with 12:12 left. To the bench. Ethan Happ picks up his third personal foul and he'll head to the bench. Walton Jr. hits a pair of free throws. Happ has 3 fouls now...that is not ideal. H2: After a pair of free throws from @DerrickWalton10 , Michigan takes their first lead of the half! 45-44 with 10:55 to play. Zak Showalter will shoot a free throw on the other side of the timeout. Back-and-forth we go. #Badgers up 46-45 with 10:47 left. UW holds 34-16 edge in paint, but Michigan has 18-6 scoring edge from beyond the arc. SHOWALTER WITH THE HOOP AND THE HARM!